Wrinkles are formed with the repeated contraction of the facial muscles; with the passage of time, the creases that form with every facial muscle contraction can lead to more permanent facial lines or wrinkles that can make a person look much older than he or she actually is. The production of collagen is decreased as a person ages, and can make the skin lose the elasticity that it needs to combat the formation of wrinkles. 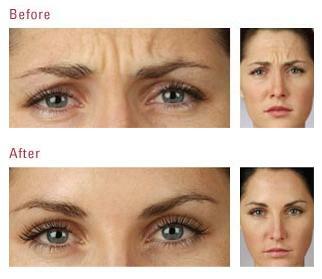 Botox treatments by a Kent cosmetic specialist can effectively address the problems caused by wrinkles. “Botox” is the abbreviation for botulinum toxin A, the product that results from a nasty form of bacterial food poisoning. (The bacterium is named Clostridium botulinum.) Ingestion of an excessive amount of the toxin can make a person very sick, but a purified form of Botox can be used for injection into specific muscles. 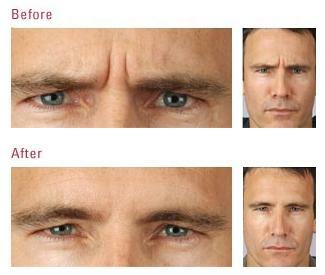 Botox treatments are very effective in smoothening out wrinkles. Botox treatments work by temporarily blocking the nerve endings to the facial muscles, so that these muscles become relaxed. This reduction in the movement of the muscle succeeds in the skin being stopped from creasing; the muscles are then allowed to recover, resulting to the lines being softened eventually fading away. Over time the patient can train his or her facial muscles to be less expressive, so that the muscle does not contract too much – and cause wrinkles again. An extremely fine needle will be used to administer the Botox to the areas where the wrinkles are located; a slight stinging sensation may be experienced during this time. The discomfort is very minimal, which is why anaesthesia is not needed for a Botox treatment. The use of Botox treatments in addressing problems with wrinkles has been proven effective and safe to use for patients. 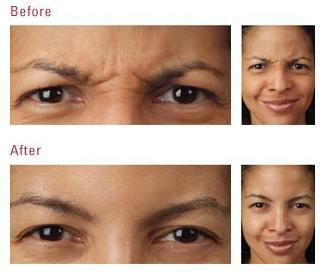 The use of Botox for the treatment of wrinkles can make a patient look much younger. Wrinkles and facial lines or creases can make a person look much older than he or she actually is, so the smoothening action from the Botox treatments can bring back the youthful glow to a patient’s face. Younger looking skin can result to a much needed confidence boost to an individual. A certain pride can be felt with the knowledge that the face is as young looking as it can possible be, and is free of unsightly wrinkles of facial lines that can make a person look much older. An overall sense of well being can be felt once more, after Botox treatments effectively address the problems brought about by wrinkles. The cosmetic doctor in Kent will first get your complete medical history, to determine your suitability for a Botox treatment to address wrinkles. The medical history will include all information regarding existing or previous medical conditions, allergies, or any other factor that should be considered before the treatment can be planned and put into action. A physical examination may also be included during this stage, as well as thorough examination of the facial areas where the wrinkles are located. The doctor will also get a list of all the medications you are currently using, as certain medications may need to be stopped prior to starting the Botox treatment. Some of the medications that may need to be stopped before the Botox treatment include blood-thinning medications; however, it is necessary to get a go-signal from your physician before stopping the intake of these medications, as they may be crucial in preventing certain medical conditions such as a heart attack, blood clots, or a stroke. The Kent doctor will then request a discussion of all the expectations you have regarding the wrinkle treatment by Botox. This is also the stage when the doctor will explain all of the steps that will be involved in the Botox treatment, so you are armed with all of the information you need before you can make the decision to go for this treatment. The results of the Botox treatment will also be discussed lengthily to give you an idea of what to expect after the procedure is finished. The costs involved in the Botox treatment will also be discussed by the doctor in Kent, to ensure that you can prepare financially for this procedure. The explanation of the costs involved with every aspect of the treatment will help prevent any unnecessary and unwanted surprises when it comes to the expenses during and after the entire treatment.